If every Medal of Honor trailer in the last five years has been a credibility drive in the name of ‘authenticity’, then EA have just hit the accidental mother-lode. Seven US Navy SEALs have been disciplined for their involvement in Medal of Honor: Warfighter as consultants. 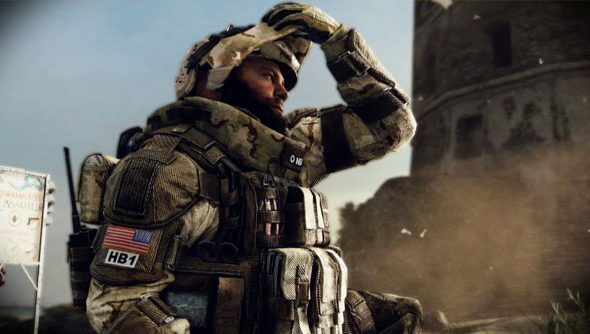 The SEALs, among them one member of the team that killed Osama Bin Laden, reportedly used classified material to help EA and Danger Close ensure that Warfighter got it just right. Too right. The seven SEALs are on active duty as part of Team Six, the unit responsible for the raid that killed Bin Laden, reports CBS. All have received letters of reprimand that will “kill their chances for promotion” and had their pay docked for two months. Four others since transferred to other units are also under investigation. The US Department of Defence told Polygon that the seven soldiers have been charged with orders violation, misuse of command gear, dereliction of duty and disclosure of classified material. “A non-judicial punishment hearing was conducted yesterday, Nov. 7 and seven Naval Special Warfare (NSW) personnel faced administrative proceedings. An additional NSW investigation is ongoing to determine if more personnel may be involved. “They are being charged with violation of Article 92: Orders violation, misuse of command gear and violation of Article 92: Dereliction of duty, disclosure of classified material. Two Senior Chief Special Operators and five Chief Special Operators received the punishment. Is now precisely the wrong time to note that, from a layperson’s perspective, Warfighter appears every bit as authentic as a landlord’s smile? Yes? Oops.